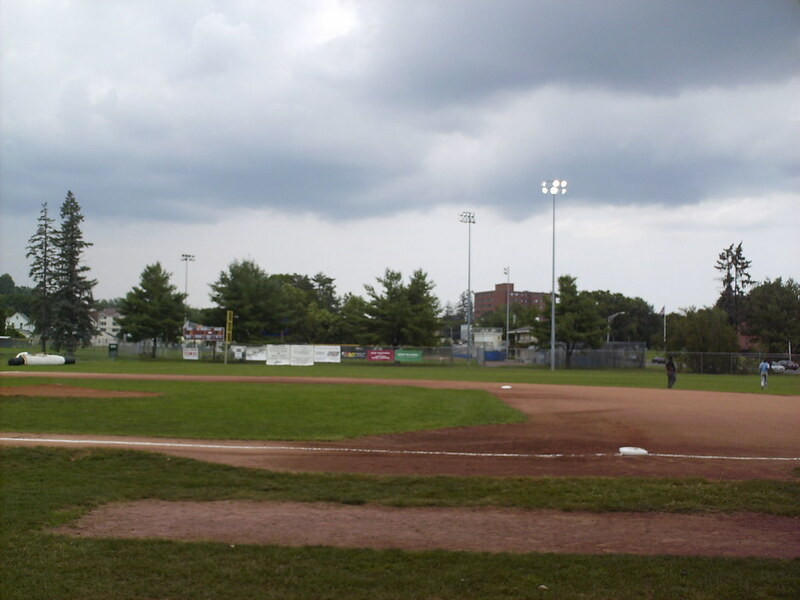 The view from behind home plate at Rogers Park. 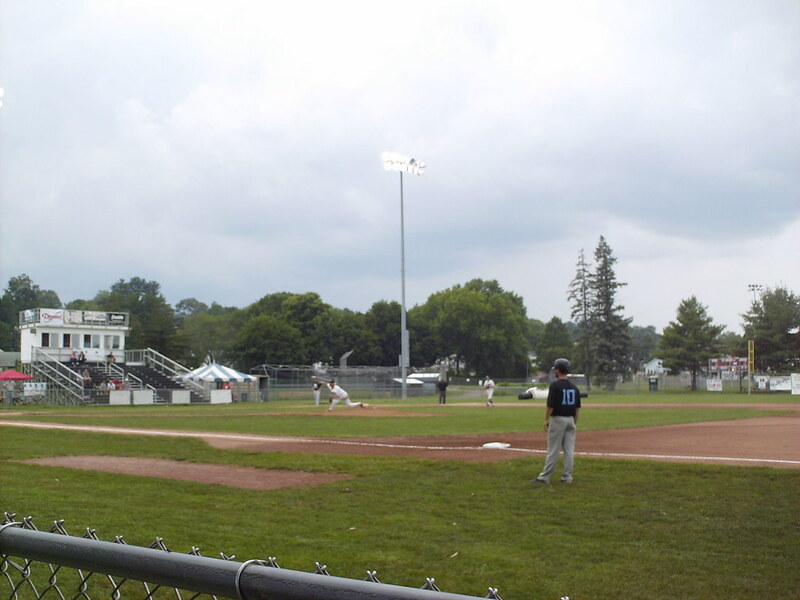 The stands at Rogers Park, as seen from the right field corner. 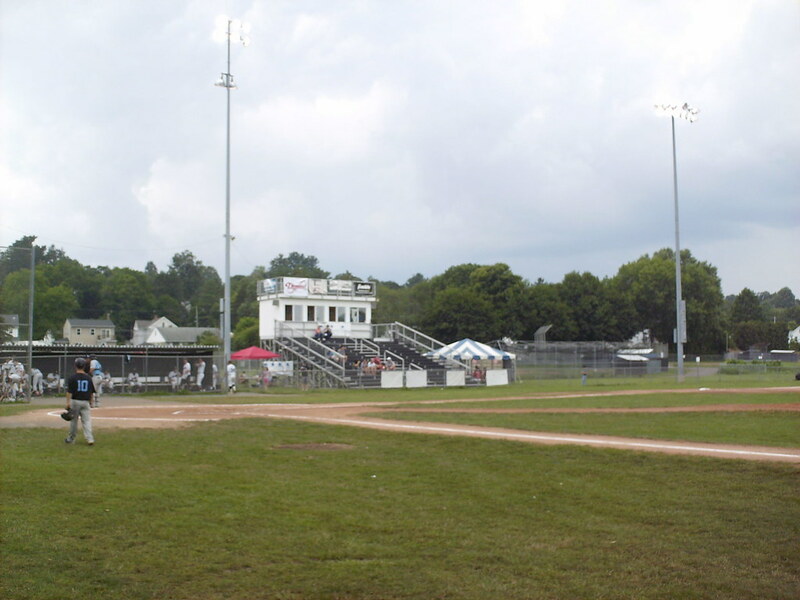 The main grandstand sits next to the home dugout on the third base side and features plastic bleacher seating. 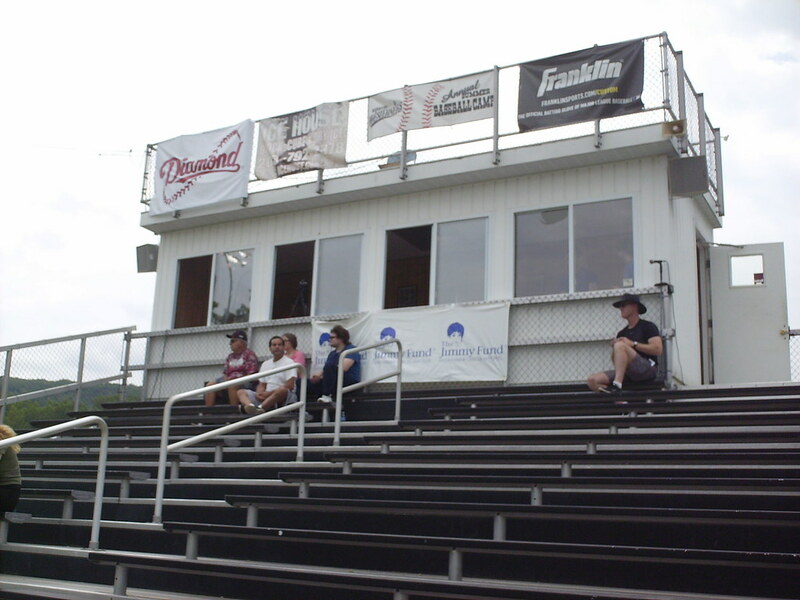 The pressbox sits atop the third base grandstand. 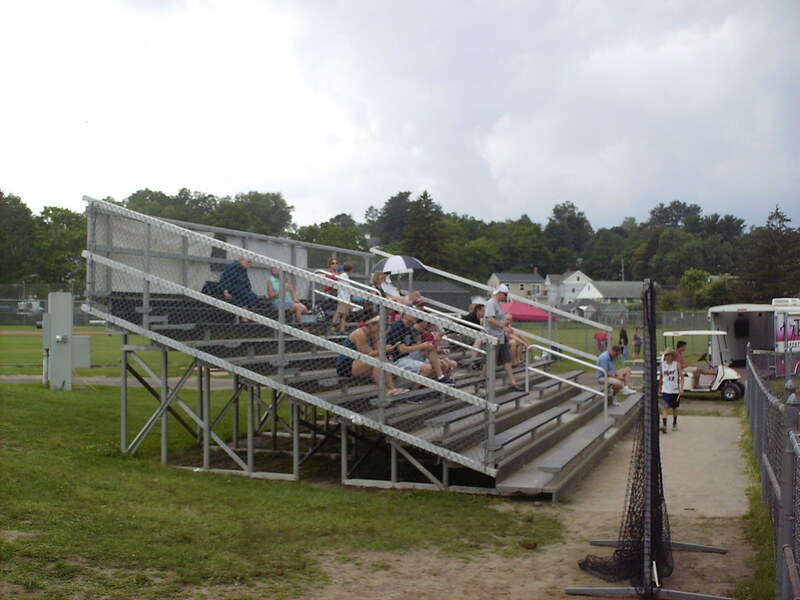 Another large bleacher section sits behind home plate. 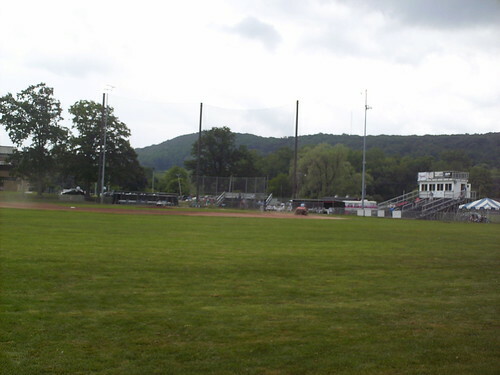 A small bleacher section and some picnic tables run along the first base line. 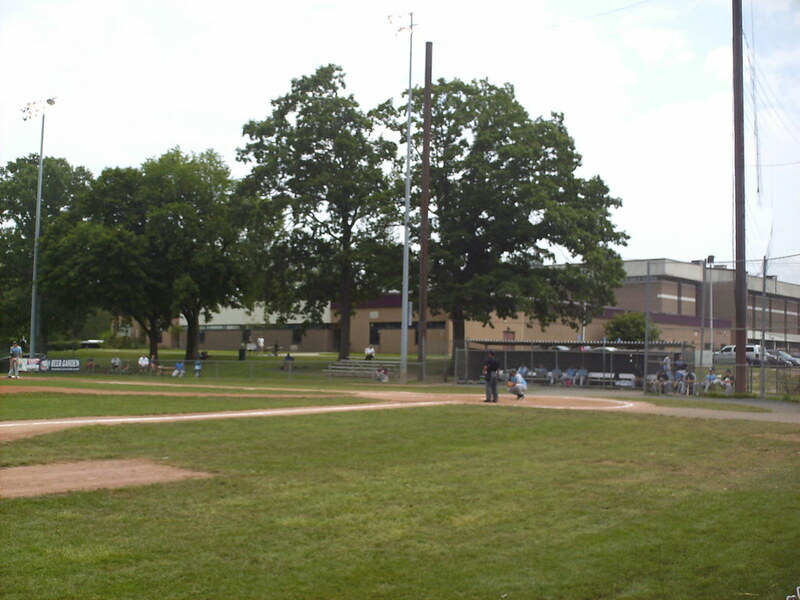 Rogers Park Middle School stands behind the ballpark. 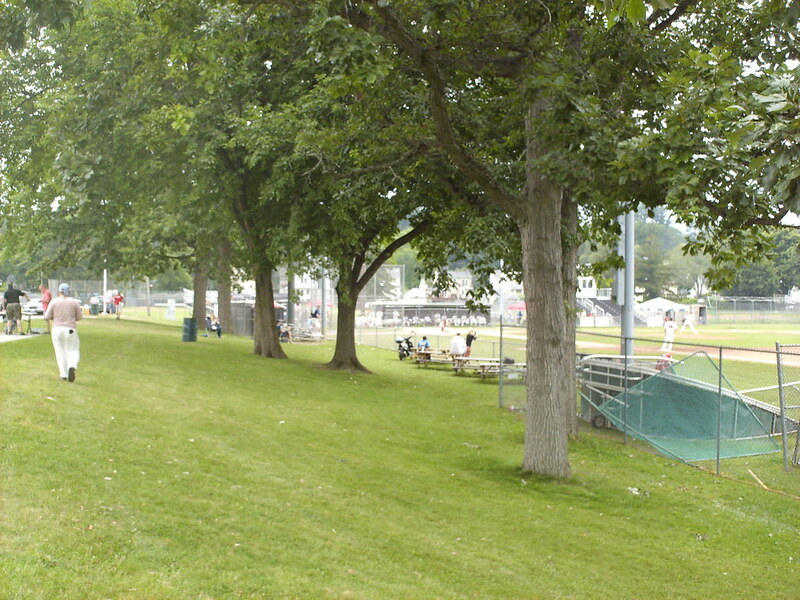 Trees provide shade for lawn seating on the first base side. 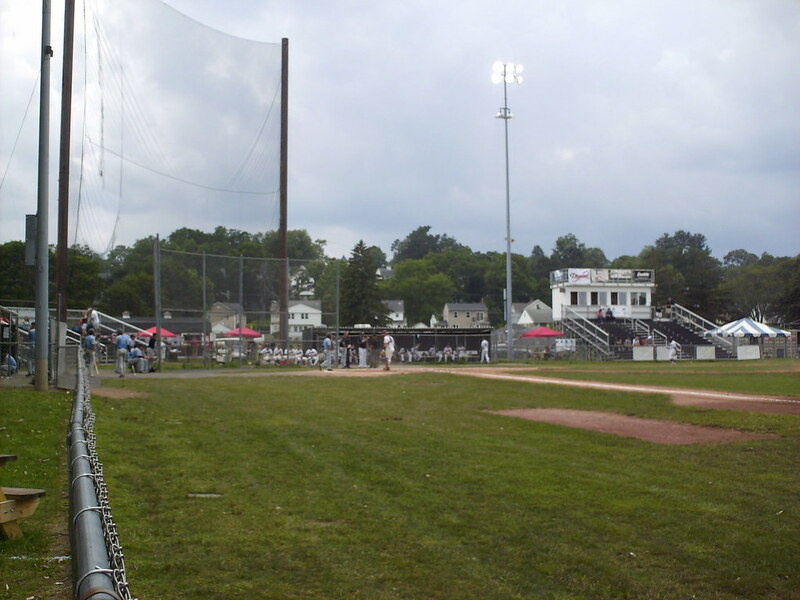 Fans set up their own chairs behind the outfield fence at Rogers Park. 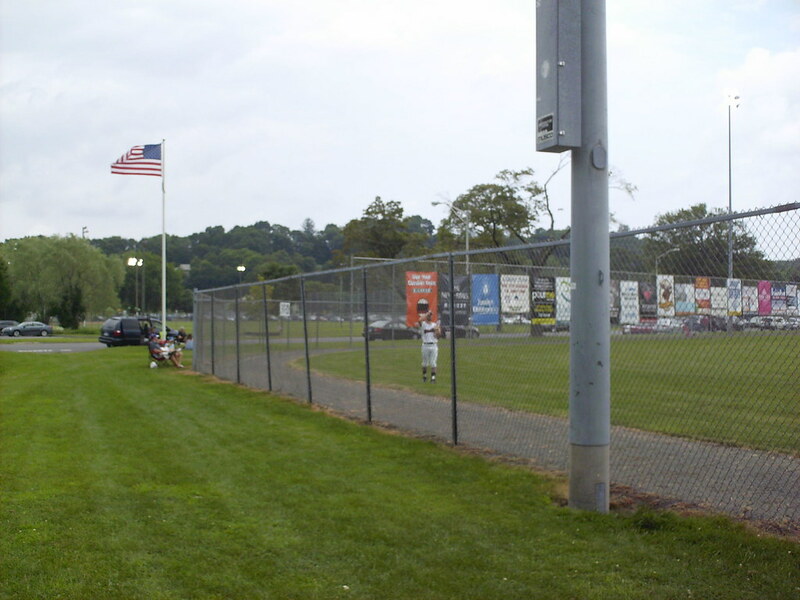 The wall is taller in right field where it runs up against a street. 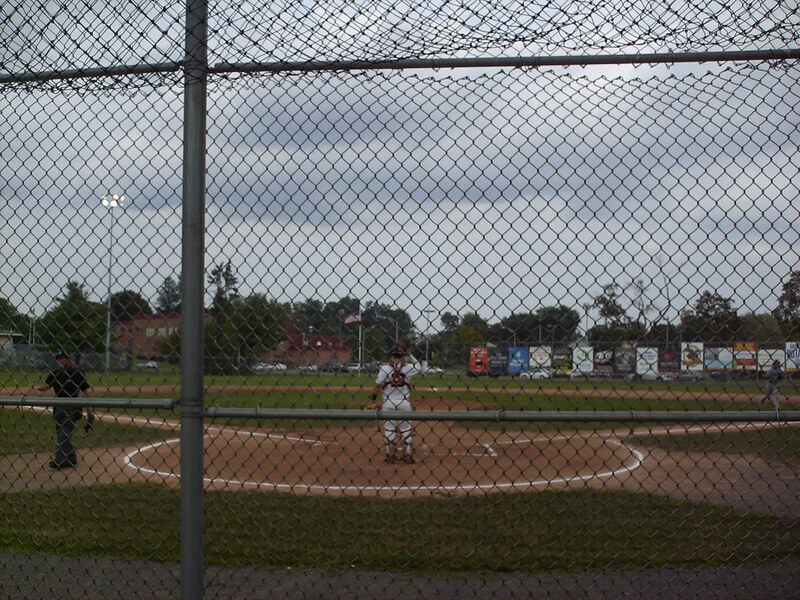 The field features a unique double backstop. 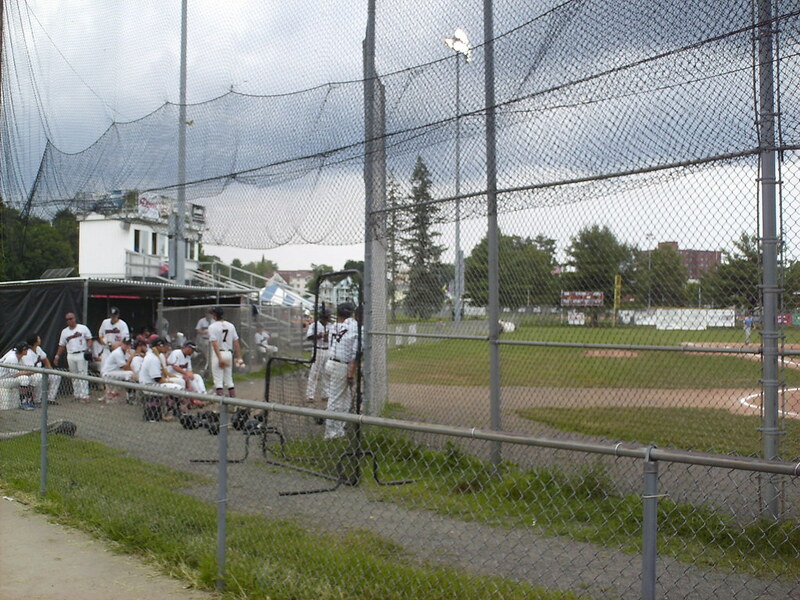 Players sit behind the chainlink backstop while a fence and a huge net separate the crowd from the field of play. 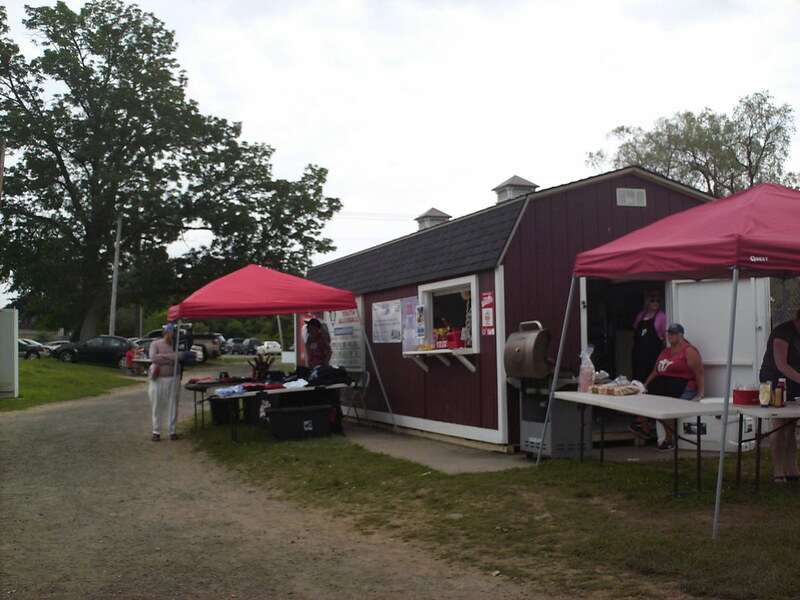 The concessions are housed in a red barn behind the stands, part of the team's Western identity as Danbury is the team farthest west in the New England league. 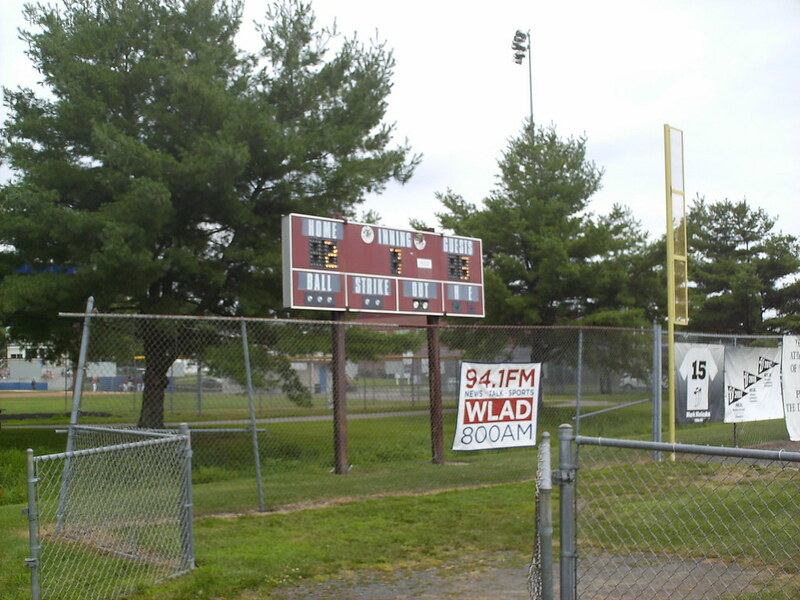 The small scoreboard sits next to the foul pole in left field. 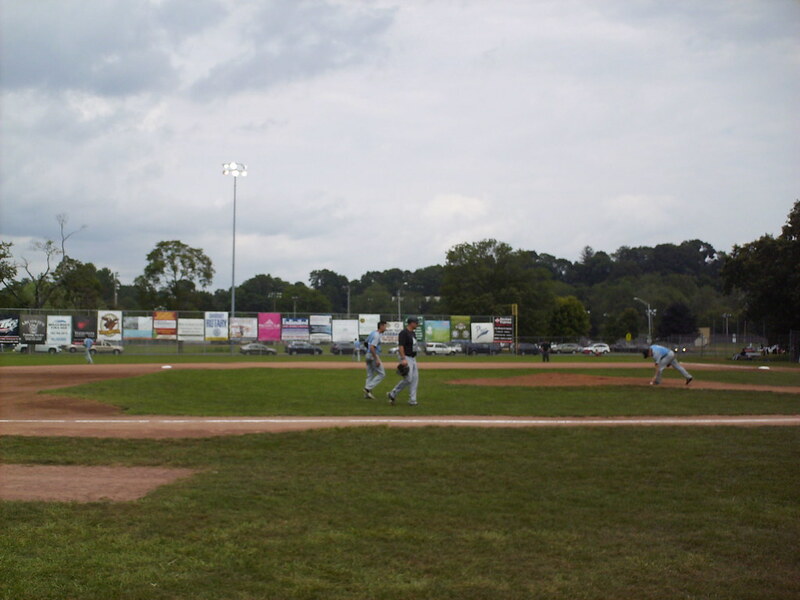 The Danbury Westerners on the field during a game at Rogers Park.